The best place to get picked up or dropped off is in a designated loading zone shown below. See the Rideshare page for more tips. Click the map legend icon for marker definitions. 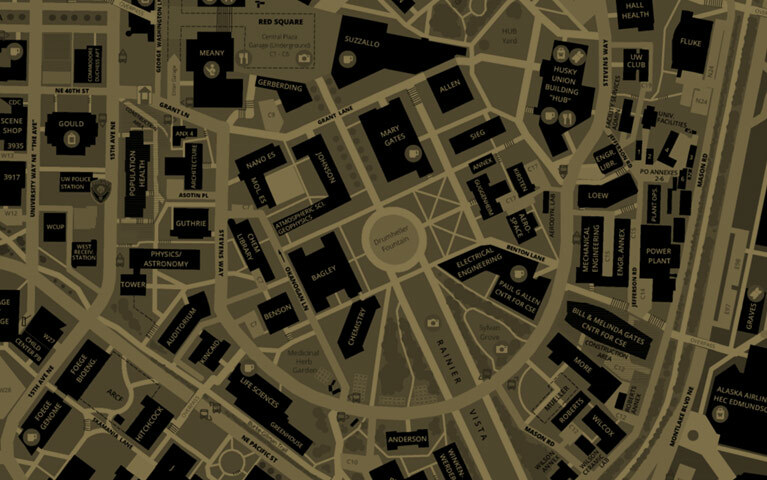 View a full screen version of the loading zones map. 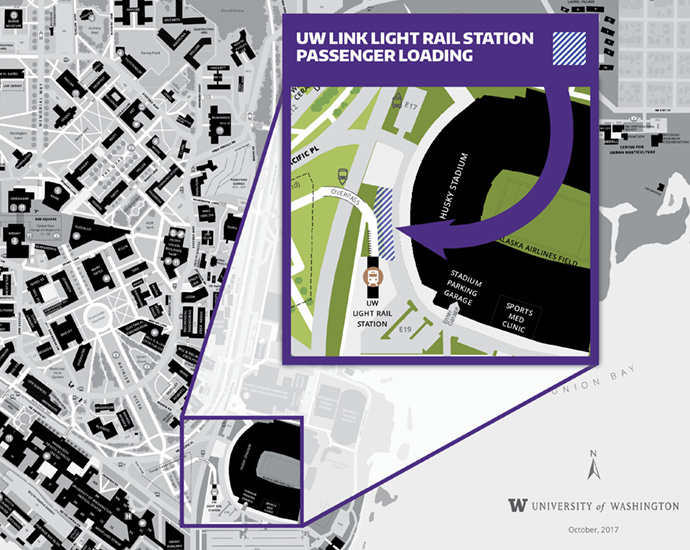 Please use the new dedicated passenger loading zone in the UW E19 parking lot when picking up or dropping off passengers at the UW light rail station. No permit or fee is required to use the 11 marked stalls, but there is a 3-minute time limit. When you approach E19, you’ll see signs and cones directing vehicles toward the new pickup/dropoff zone on the north side of the Link light rail station. Do not stop on the road between the light rail station and Husky Stadium, as it is a fire lane. The paratransit section of E19 must be kept clear for passengers with disabilities.